A grass swale with check dams. Photo courtesy Stormwater Maintenance and Consulting, LLC. With the shift from centralized traditional stormwater management to distributed Low Impact Development practices along with the increased verification requirements in order to meet the Bay TMDL, we hear repeatedly how overwhelmed local governments are with meeting their BMP inspection requirements. 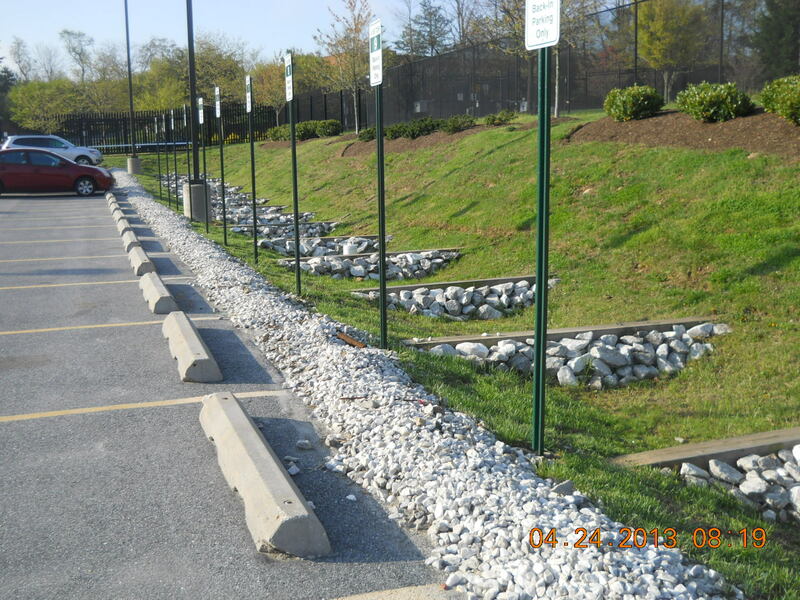 In 2013 the Chesapeake Stormwater Network put together a technical memo describing how to visually assess Low Impact Development stormwater practices in order to cut down on and streamline the workload of local governments. “Bioretention Illustrated! A Visual Guide for Constructing, Inspecting, Maintaining and Verifying the Bioretention Practice” took readers through the process of inspecting Low Impact Development stormwater practices during all stages of life of the practice using the Bioretention practice as an example. However over the past 3 years we have heard from our local government friends the need for the development of similar training materials for other commonly employed LID practices. The long awaited day is finally here! CSN has developed similar indicators for the practices of Infiltration, Surface Sand Filter, Permeable Pavement, Filter Strips (and Sheetflow to Buffers) and Grass Channels! Join us for Part II in a two part webcast series which will cover the indicators for the remaining practices: Filter Strips (and Sheetflow to Buffers) and Grass Channels. This webcast builds upon the earlier visual indicator work that CSN has done — to provide context you may want to check out the Bioretention Illustrated webcast we did a few months back which is linked below.